Although the name Graben translates into the word 'ditch' or 'trench' there is absolutely no comparison between the two. Graben is a showcase of elegance and style. 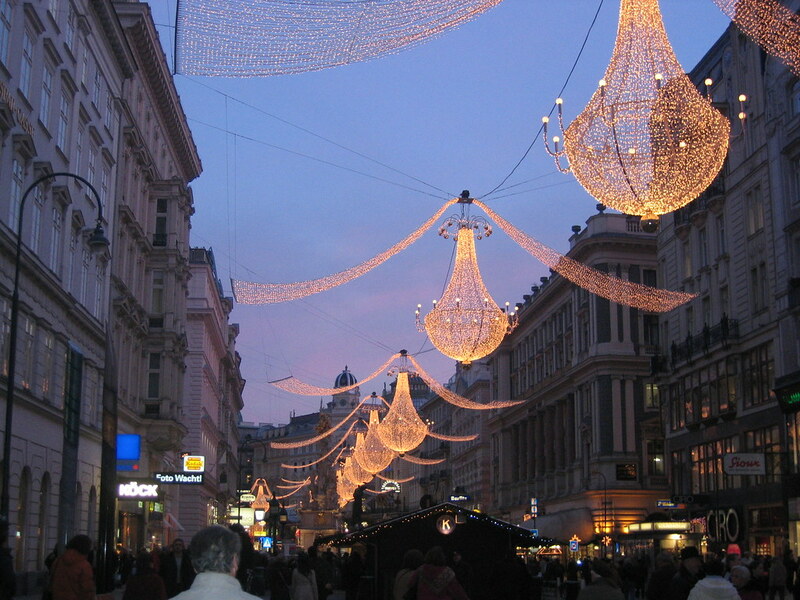 It is one of the most beautiful streets not only in Vienna, but in Europe. Its history dates back to Roman times and its name comes from a trench built in front of the Roman fortifications of Vindobona. The trench survived long after the Romans left but by the 1100s it had been filled in to become one of Vienna's first streets. 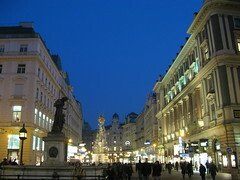 For much of its history it has served Vienna as a commercial district with the earliest markets dating back to the 13th century. It is now more famous for its elegant houses, monuments, shops and eateries. The cafes are renowned for their cakes and during summer months the tables and chairs spill out onto the streets. Graben is pedestrian friendly, no vehicles are allowed. 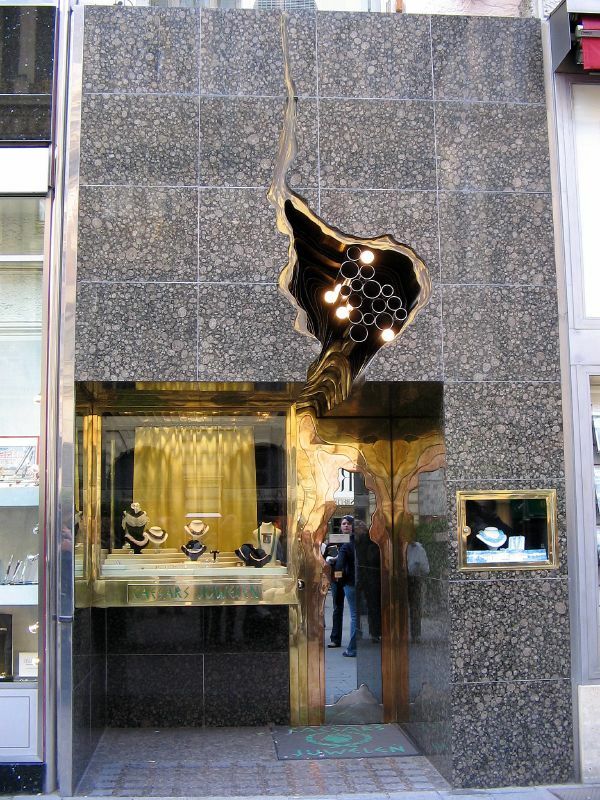 Its shop fronts are well-known for their street appeal, and are adorned with the most intricate architectural detail. For example, the shop front of Caesar's Jewelry store attracts visitors because of its artwork. Everywhere you look there is something of interest to see. Although the shopping is excellent there is no need to buy, as the visual experience is enough to satisfy most visitors. The street also comes alive with entertainers and festivals are held regularly. In the middle of Graben Square an imposing Baroque monument called the Pestsäule, or Plague column, is an impressive sight. As the name implies, it was erected to commemorate the end of the devastating bubonic plague of the 1600s. Other places to visit close by include St Stephen's Cathedral, Gravenhof, Freisingerhof , the Ankerhaus and Trattnerhof , to name just a few. 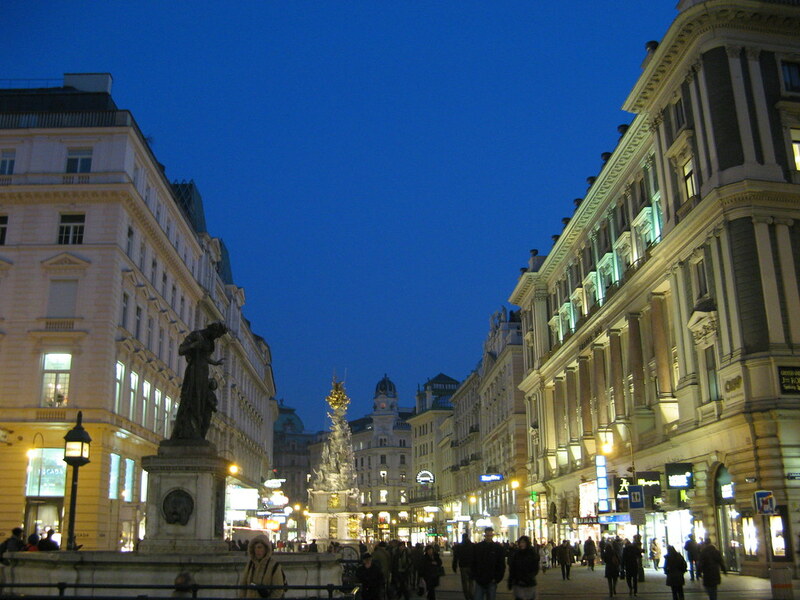 If you are looking for history, art, luxury and great food, then add Graben to your list of holiday destinations. Be the first to write a review about the Graben! See below for more information. Have you already visited the Graben? If so, let everyone know what you thought about it by writing a review! No registration necessary. Just click here to start writing!